Flawsome! Yes I know I used this word before, and I love it! 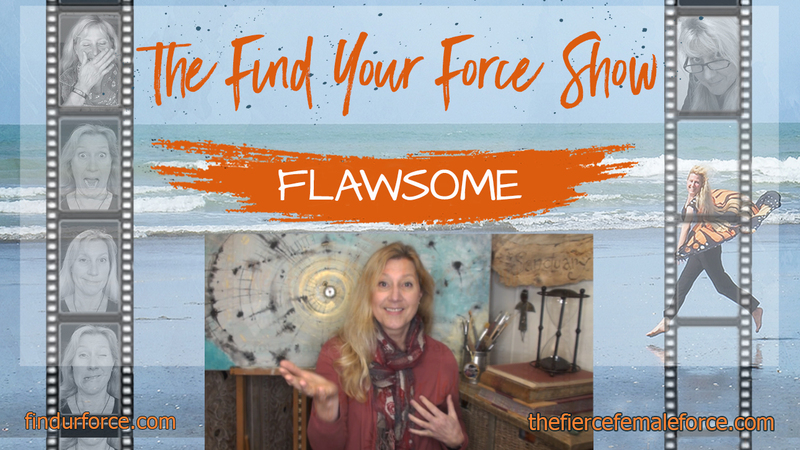 Flawsome is a creative word and means: Awesome while embracing your Flaws! That means being authentic, honest, true to YOU! Flip your fears and embrace the fun! Go for your triple F-Factor! –> Find your Fire, your Force and your Flow!!! I did another video vlog about this and some little thoughts that had kept my mind occupied. I like to think positive and work on positive, improvement and personal growth. In my book there is no fail, there is only failing forward and learning from experiences. Join the conversation. Let me know how you experience this, do leave a comment below and subscribe to the Youtube channel. ⟵you can do it, every time!